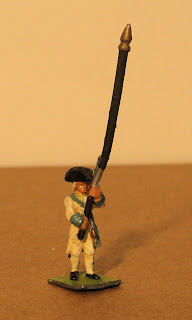 Is this English Line Infantry Standard Bearer ESW 7s? 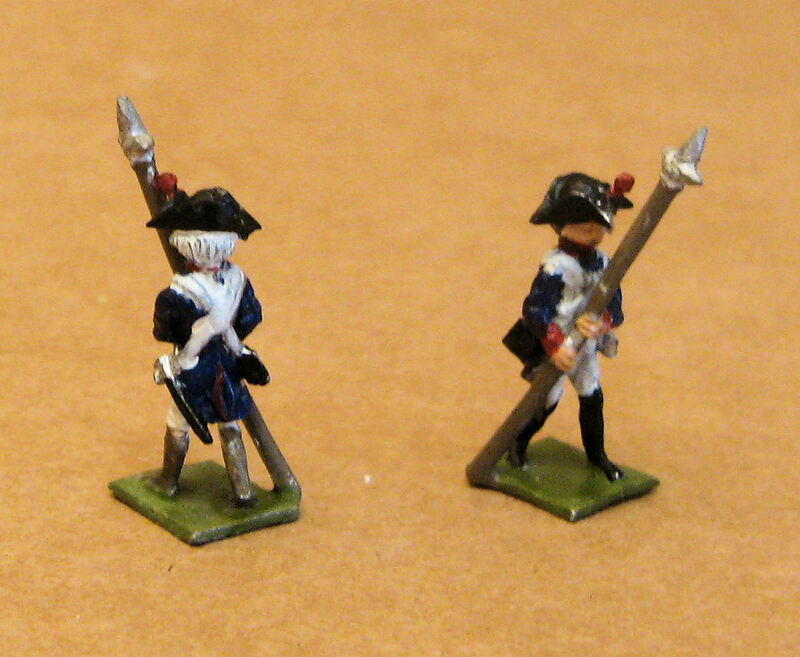 The line infantryman is not from the Jacobite Rebellion range and the grenadier seems to match him, but is not ESW 3s (pictured elsewhere). Can anyone identify these two figures? 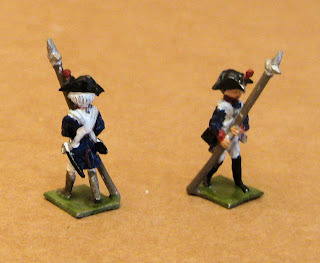 Are these Seven Years War? 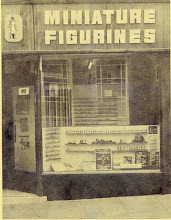 Or possibly AWI figures? If so, which ones are they? If this is a Seven Years War figure, my best guess so far is RSW 5s Russian Pandour Grenadier. Can anyone confirm or correct this? 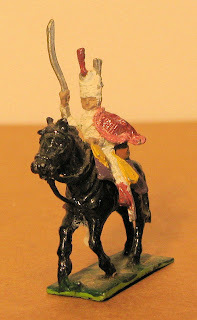 This figure may be FSWC 2s French Hussar. 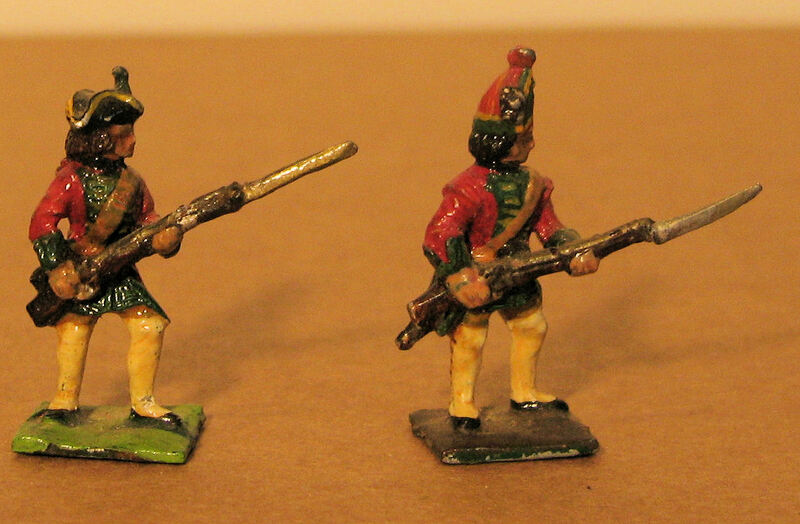 It does appear elsewhere on this blog as the basis for a unit of English Napoleonic Hussars in Mirlitons. 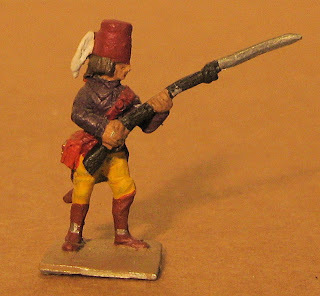 Such a figure does not appear in any of the lists of S Range Napoleonic figures I have, although there is such a figure in the later Minifigs 25mm range, so this identification has always been problematic.